WY14643 is a selective agonist of peroxisome proliferator-activated receptor-α (PPAR-α) with neuroprotective and neurotrophic effects. 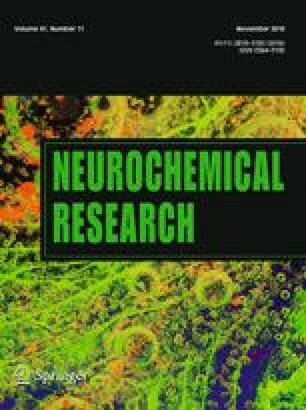 The aim of this study was to evaluate the effects of WY14643 on cognitive impairments induced by scopolamine, a muscarinic acetylcholine receptor antagonist. We conducted different behavior tests including the Y-maze, Morris water maze, and passive avoidance test to measure the cognitive functions of C57BL/6J mice after scopolamine and WY14643 treatment. It was found that WY14643 injection significantly attenuated the scopolamine-induced cognitive impairments in these behavioral tests. Moreover, WY14643 treatment significantly enhanced the expression of brain-derived neurotrophic factor (BDNF) signaling cascade in the hippocampus. The usage of both PPAR-α inhibitor GW6471 and BDNF system inhibitor K252a fully prevented the memory-enhancing effects of WY14643. Therefore, these findings suggest that WY14643 could improve the scopolamine-induced memory impairments, and these effects are mediated by the activation of PPAR-α and BDNF system, thereby exhibiting a cognition-enhancing potential. Hui Xu and Zhengchen You have equally contributed to this paper. This work was funded by innovation and demonstration projects of Nantong Social Science and Technology (HS2011024).